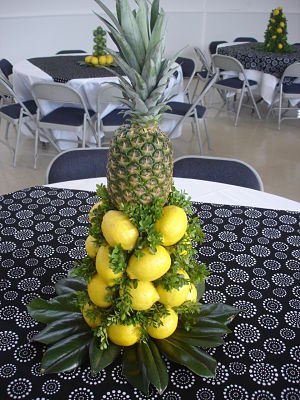 This school auction in Alabama incorporated lemons into every centerpiece. Before the live auction begins at your next gala, consider running through the ballroom spritzing a lemon-scented air freshener. Worst case, ask the hotel housekeeping for a clean-smelling window cleaner and do the same thing. The study found a big improvement in ethical behavior with just a few spritzes of citrus-scented Windex. The research asked participants to engage in several tasks. The only difference was that some of them worked in rooms freshly spritzed with Windex and others worked in unscented rooms. The first experiment evaluated fairness using a “trust game” in which each subject could trust or exploit their partner. The second experiment evaluated whether clean scents encouraged charitable behavior. After the experiments, the participants confirmed in follow-up questions that they hadn’t noticed the scent in the room. In both experiments, there was a significant difference in how participants reacted. In the first case, participants were significantly less likely to exploit the trust of their partners. Without going into details as to how the game was played, just note that the scented room participants shared $5.33 of a $12 amount. Non-scented room participants shared just $2.81 of the $12. In the second study, each participant’s interest in donating time and funds to Habitat for Humanity was gauged. Windex-ed room participants were significantly more interested in volunteering (4.21 on a 7-point scale) than those in the unscented room (3.29). In addition 22% of Windex-ed room participants said they’d like to donate money, compared to only 6% of those in a normal room. You can read highlights of the research on this page. This was less complex, but looked nice mixed among the other centerpieces. The Scent of Desire – A Marketplace Morning Report talking about scent in the retail environment. One example – Exxon On The Run added a coffee scent to their brewing kiosks, and sales increased 55% for coffee. Marketplace News Report – Las Vegas resorts experimenting with smell found that gamblers spent 45% more money at the casino when surrounded by a pleasant smell. Apparently experiments of teakwood weren’t going well, but a coconut and a lemon/ginger blend were being tried. Speaker of reed diffusers, could they be set up in the silent auction? Or if you’re ready to try ambient scenting in full force, rent an air diffuser. A fresh lemon cheesecake, lemon bars, or lemon-anything that might be incorporated into your menu for the event. Gift bags might include a small lemon-scented gift. I’ve not researched this, but perhaps there are elegant hard candies or appropriate lemon / chocolate combinations? Maybe mini room sprays or roll-on fragrances? The key is to get the scent into the guests nose before asking for donations, so the gift bags would need to be on the gala table when guests were seated and not handed to them on their way out the hotel door. The research on smell influencing shoppers in a retail environment is overwhelming. And with Katie Liljenquist’s study, the concept holds when used in charitable situations, too. It would be fascinating to see the results if this were embraced and incorporated purposefully into an auction gala. Thank you for sharing this important information. I appreciate that it is gaining acceptance in more mainstream avenues. Fragrance has been scientifically proven to trigger emotional responses in the limbic portion of the brain. How wonderful that it is being acknowledged as having an impact on donations. However, Windex may not be the right tool to obtain the effect you want. It provides an artificial lemon scent but is in the delivery system of a chemically produced product that might also have negative effects on sensitive guests. I prefer using natural fragrances over anything artificially scented to avoid triggering allergies in myself or others. The centerpieces are a great idea! Reed diffusers can get knocked over (experienced this) and make a mess. I have found a way to introduce fragrance into a room continuously with great subtlety and with great impact. I use pure, authentic, therapeutic-grade essential oils in an electronic diffuser. Not only does the essential oil diffuse the whole atmosphere while you go about your business, but the quality of the essential oil I use is actually healthy for the patrons. When it comes time to wind down, adding a drop of a different essential oil to the diffuser will create the desire for people to gather their things and return to the comfort of their homes. If you don’t want to use a diffuser, using a couple of drops of lemon essential oil in a spray bottle of distilled water works also. The lemon essential oil is also great for kids on test day at school. It has the quality of calming any anxiety while at the same time uplifting and providing mental clarity for your test-taker. Maybe these same effects are what are taking place with the donors – calming anxiety, uplifting emotions, and allowing mental clarity on how their personal generosity can help so may others through our charitable works. Again, thank you for sharing this information about the increase in giving and the scent of lemons. Thank YOU for sharing. You’ve provided some excellent information and I’m glad we all can learn from your experience. Great idea about the lemon scent. Will definitely use this great trick next year. You bet! Let me know how it goes, Lisa. Last year at our auction we used lemons in large clear vases and we did see an increase in spending. 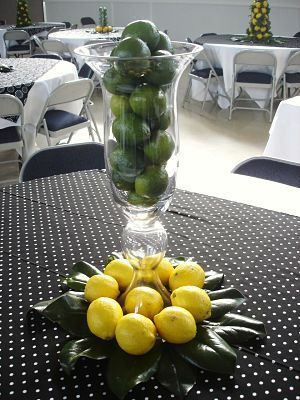 We were lucky that the venue supplied the lemons and the vases so we saved money while making more too. Thanks Sherry, I attended your seminar in Memphis a couple of months ago and we are getting ready for an auction in August, just around the corner. Every little bit helps. Excellent! Thanks for sharing that tidbit, Lynn. Delighted that you were able to make the Memphis stop. I’m working with a couple of groups there and it’s fun to learn more about the nonprofit “scene.” Good luck with your event! I wonder if there’s a way to use this outdoors? Our event is held in a park each year. 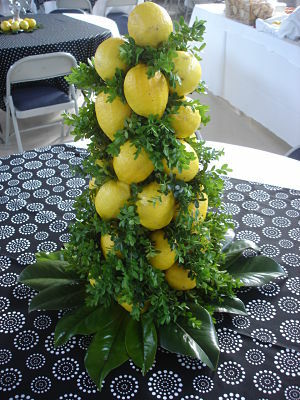 Maybe using centerpieces on the tables with lemons. Since ours is a pet centered event, maybe lemon scented hand sanitizer and/or pet wipes? Hmm, I’ll have to think about this some more! Thanks Sherri! I know I’ll use this information if we do any event indoors! I’m a newby to the idea myself, Melanee, so sadly can’t offer much more than I did. That said, it sounds like you’ve got some ideas … and perhaps experimenting is what it takes. (I wonder if most animals would shy away from lemon scents? I’m not sure ….) Good luck! At our event October 9th, we had table giveaways of lemon thyme. Everyone commented on how nice the scent was. We did have some better items but overall have done at least 50% better for income from the silent auction! I LOVE it! Thanks for sharing your post-event success and strategy on using the lemon scent. This is awesome, Sharon.